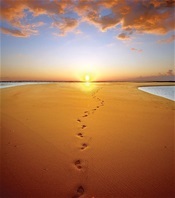 Footsteps in the sand..."it was then I carried you"..our savior has carried us many times when we were in need, and still does, just ask Him! i found this great article regarding the bay leaf...God has given us many natural things to use in our daily lives to keep us active and healthy..Give some of these tips a try. I love the smell of somethng cooking with bay leaf added. Now that I know the many benefits I'll be sure to use it more often. I usually grown some herbs, I did not plant any this year, but it's not too late, I'll buy a plant that is already started . A good cook knows the secret to a rich and delicious soup or stew: bay leaf. The aromatic, olive-green herb is often credited with giving a dish the subtle intensity and depth that makes a meal particularly memorable. Not only do bay leaves taste good, but they are also good for you. According to Organic Facts, bay leaf has properties that are detoxifying and slow aging. The herb also fights bacterial infections and improves everything from respiratory issues to heart health. It is a powerful herb, from which everyone can benefit. Continue reading to find out the best way to make bay leaf a part of your everyday lifestyle! 1. Anxiety and fatigue. The combination of chemicals in bay leaf produce a calming, psychedelic effect when burned. Simple Organic Life explains all you need to do is light a couple dried bay leaves in the same way one would incense. As you breathe in the vapors, you will fall into a relaxed, yet alert, state of mind. The best part of burning bay leaf is that it doesn’t make you sleepy, but instead wakes you up and banishes fatigue. 2. Respiratory system. Ayurvedic Oils says bay leaf is a stimulant for respiratory passages and can help dislodge phlegm and mucus in the lungs. The best way to heal your respiratory system with bay leaf is to inhale steam treated with bay leaf in the form of fresh or dried leaves, or oil. You can also massage bay leaf oil onto your chest to treat allergies and asthma. 3. Dandruff. To treat dandruff, mix it with warmed jojoba oil. Massage the warm home treatment into your scalp, wrap your head in a towel, and rest for 15 to 60 minutes. 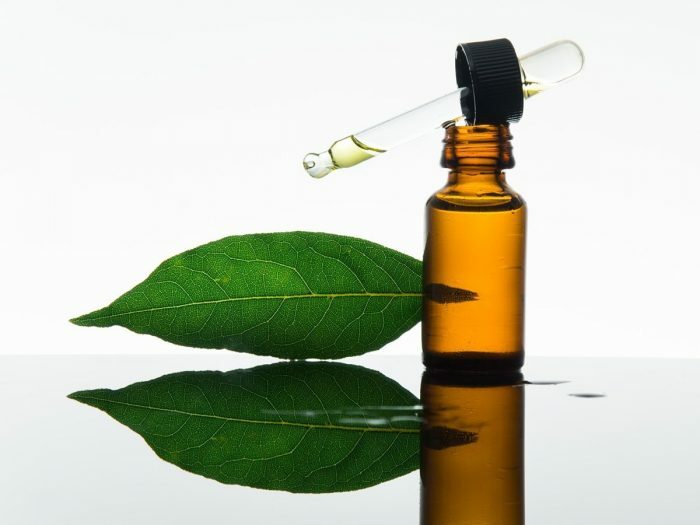 Ayurvedic Oils says you can also add a few drops of bay leaf oil to your daily shampoo in order to fight dandruff. 4. Diabetes. An article jointly published by the NWFP Agricultural University in Peshawar, Pakistan and the USDA Beltsville Human Nutrition Research Center found bay leaf to be an effective treatment for people with type 2 diabetes. The study showed that consuming just 3 grams of bay leaf per day can decrease glucose levels. 5. Digestion. Cultures from the Mediterranean to East Asia which use alternative medicine believe in the heating and healing power of bay leaf. According to Ayurvedic Oils, bay leaf boosts the “digestive fire.” Include bay leaf in your cooking or rub bay leaf oil on your stomach after eating to promote the secretion of digestive juices, enzymes, and bile. 6. Heart health. An organic compound found in bay leaf called caffeic acid is known to strengthen capillary walls in the heart, reports Organic Facts. It also helps eliminate bad cholesterol from the cardiovascular system. Include the herb in your cooking. This recipe for salmon wrapped in bay leaf is especially heart healthy. 7. Joint inflammation. A 2003 study published in Phytotherapy Research found the anti-inflammatory and pain relievingproperties of bay leaf essential oil have comparable effects as anti-inflammatory drugs like morphine on inflammation throughout the body. To relieve pain, rub bay leaf essential oil on sore joints and use bay leaf as part of your regular diet. 8. Urinary infections. Drinking powdered bay leaf mixed with milk is an ages old treatment for urinary infections, says Ayurvedic Oils. Bay leaf is an all-powerful miracle herb. It is inexpensive and widely available anywhere herbs are sold. Try adding a few leaves to your next soup, vegetable, or meat dish. And don’t forget to try bay leaf essential oil to treat dandruff, respiratory problems, and inflammation. Written by Roxanne Goldberg, Contributing Writer for Remedy Daily ~ July 25, 2016. Antiseptic: Wounds should not be ignored, even if they look mild, more so when they are from iron objects, rusty or otherwise, or from dirty or unclean objects. Wounds are very much prone to Septic or Tetanus, which can result in severe convulsions, cramps, breathlessness, pain, hydrophobia, and even insanity. The antiseptic property of this oil protects wounds against such infections and inhibits bacterial growth, while helping to avoid those painful situations. Antibiotic: This oil is also known for its antibiotic properties. That means that it inhibits any sort of biotic growth (growth of microbes, bacteria, or fungi) in the body, effectively safeguarding you against those infections. There is one more advantage of using this oil as an antibiotic. It is completely safe and has no adverse side effects (unless used in very heavy doses), unlike those antibiotic medicines available on the market that heavily impact the liver, heart, and other internal organs. Anti-Neuralgic: Neuralgia is very painful and it leaves almost the entire oral zone, including the throat, ears, tonsils, base of the nose, larynx, pharynx, and the surrounding areas suffering from severe pain. It is caused due to compression of the Glossopharyngeal or the Ninth Cranial Nerve by the surrounding blood vessels, which tends to swell when excited or stimulated as a result of chewing, eating, laughing, shouting, or any other excitement or movement in that region. The essential Oil of Bay has analgesic and astringent properties, each of which helps provide relief from the pain of Neuralgia in its own way. Being an analgesic, it reduces the feeling of pain in the affected area. Then, as an astringent, it induces contraction in the blood vessels, thus relieving the pressure on the cranial nerve, giving immediate relief from the pain. Anti-spasmodic: Cramps, coughs, aches, diarrhea, nervous afflictions, and convulsions are some of the ailments caused by spasm, which is an excessive contraction in the respiratory tracts, muscles, nerves, blood vessels, and internal organs. Not only does it cause the ailments discussed above, but sometimes it can also become fatal if it is overly excessive. For example, excessive spasms in the respiratory system can leave someone breathless or literally choke them to death. The Essential Oil of Bay gives relief from spasm by relaxing the contractions and helping to avoid the related dangers or ailments. Analgesic: An analgesic, like the Essential Oil of Bay, reduces pain, and is particularly effective in pains resulting from coughs and colds, viral infections, influenza, and sprains. Again, this is better than the analgesic pills available on the market, which cause damage to the heart, digestive system, and nervous system. Aperitif: Loss of appetite is a very common problem with people who lead a metropolitan way of life. With the excessive pressure of work in the office as well as at home, a never-ending search for money, and almost no time to relax or exercise, it is bound to happen! This loss of appetite eventually induces acute deficiencies in those people. Therefore, an appetizer or an aperitif can be a helping hand in these cases. Nothing is better than an herbal aperitif like the Essential Oil of Bay to help them want and have a sumptuous lunch or dinner. Astringent: We have already read that astringency can be beneficial in treating painful conditions like Neuralgia. However, it is not its sole benefit. An astringent’s main function is to induce contractions in muscles and tissues. This contraction helps in many ways. It strengthens the grip of gums on teeth, pulls up the sagging skin and muscles, strengthens the hold of the scalp on hair roots, thereby preventing loss of hair and finally, it induces contractions in the blood vessels, thus helping to stop hemorrhaging. Cholagogue: Bay Oil promotes the discharge of bile into the stomach, thereby helping maintain the acid and base balance in it. This bile is used to break down the complex food molecules and to neutralize the excess acids discharged into the stomach, which is very important, since this excess acid can wear down the inner lining of the stomach, causing ulcers. Emenagogue: This property of Bay Essential Oil is effective in turning on obstructed menses and making them more regular. It also eases the pain and other troubles associated with menstrual periods. Febrifuge: Since certain components of Bay Oil are capable of fighting infections that cause cough, cold, and fever, this oil helps reduce fevers. Its sudorific property also contributes to this, since perspiration helps bring down body temperature. Insecticide: Being lethal for insects and lower animals is yet another beneficial property of this oil, which helps drive away insects. Therefore, it can be used in fumigants, sprays, vaporizers, and in various other ways to keep away insects. Sedative: This oil sedates nervous afflictions and disturbances and helps provide relief from conditions like epilepsy, hysteria, convulsions, anxiety, stress, depression, anger etc. Stomachic: The stomach is the root to health and is the root to all health problems as well. Any malfunctioning by the stomach results in an ailment. As long as it is functioning well, then your total health remains fine. This is exactly what Bay Oil does. It keeps the stomach functioning fine and maintains it in very good health, keeping it safe from infections, ulcers, and acidity. Sudorific: Bay Essential Oil promotes perspiration and facilitates the removal of toxins, excess salt, water, and fat from the body through sweat. This makes the body lighter and protects it from ailments caused due to the accumulation of toxins, salt, and water in the body. Perspiration also brings down body temperature in the case of fever. Tonic: This property of Essential Oil of Bay is beneficial for the whole body. It improves the metabolic functions such as decomposition of food and the absorption of nutrients by toning up the liver, stomach, and intestines, helping you grow stronger and healthier. It also takes care of proper excretion, regulates the endocrinal secretions of hormones and enzymes, and also tones up the nervous system, thus making you more alert and active. Finally, it boosts the immune system, thereby protecting you from infections. Other Benefits: The Essential Oil of Bay is equally effective in symptoms like rheumatism, neuralgia, muscular pain, circulation problems, cold, flu, dental infection, diarrhea, skin infections and promoting growth of hair, and general health of the scalp. A Few Words of Caution: Due to the presence of high concentration of eugenol, this oil can cause irritations in the skin and mucus membrane. It should be avoided during pregnancy. Blending: Bay Essential Oil blends with a whole range of essential oils, including the essential oils of Cedar Wood, Coriander, Eucalyptus, Geranium, Ginger, Juniper, Lavender, Lemon, Orange, Rose, Rosemary, Thyme, and Ylang-Ylang. I highlighted the line about Bay Leaf oil being beneficial for joint and muscle aches.....A particular interest of mine..I'm always on the lookout for help to releave arthritis pain.